The cheap poundshop stuff, in fact the majority of screenwashes, will not be suitable for fan jet washer systems. It bungs them up. Lidl do a similar product, when available, that is suitable for £4-£5 for 5 litres. This looks excellent, just bought two! Thanks OP! £3.65 for a litre on Amazon. If it's BMW then it must work by tailgating and bullying the dirt off the windscreen. Look at this - it works down to -63. That seems to be worth the extra price to me! if you use it neat that is! still 3 to 1 should be ok for our winters. Well their screenwash might be ok, but their cars i wouldnt touch with a barge pole, alloy blocks now and id like to see how long they last compared to 10 years ago. If it's BMW then it must work by tailgating and bullying the dirt off the … If it's BMW then it must work by tailgating and bullying the dirt off the windscreen. Wow! What a sweeping statement. I have a BMW and have never done this. Though I have been tailgated myself by many different models of car. Wow! What a sweeping statement. Yes. Humour is often predicated on sweeping generalizations that are not necessarily true but are nevertheless widely held. Yes. Humour is often predicated on sweeping generalizations that are not … Yes. Humour is often predicated on sweeping generalizations that are not necessarily true but are nevertheless widely held. I genuinely didn't get that it was a joke! Wow! What a sweeping statement. I have a BMW and have never done this. … Wow! What a sweeping statement. I have a BMW and have never done this. Though I have been tailgated myself by many different models of car. 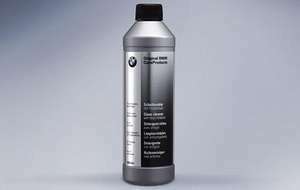 Join bimmerforums.co.uk and there is a BMW dealership who advertise on there and will supply any genuine BMW part for a discounted price - usual discount is 10% but varies on volumes sold.